1 in Four: the domestic violence project invites you to join women, survivors, service providers and community members in Hamilton to celebrate our 2-year anniversary as we launch our new resource database in collaboration with Information Hamilton. 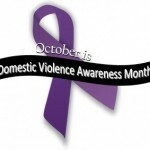 When: August 12 at 2 p.m.
What: Find out how our new resource database can support your work in eradicating domestic violence. Keynote by: Jessica Prominski of Hollaback Hamilton, a movement dedicated to ending street harassment using online and mobile technology. 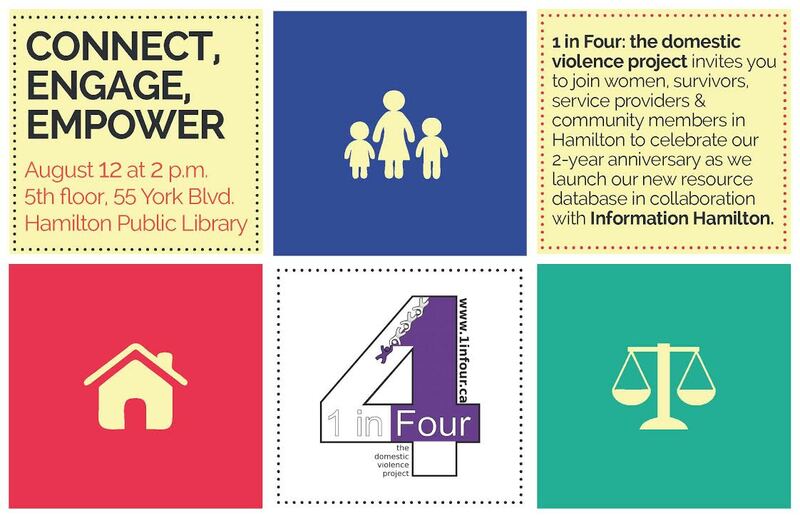 About 1 in Four: Formed by women survivors of domestic violence, 1 in Four is a grassroots volunteer organization committed to helping women in the Hamilton area support themselves as they struggle with issues of domestic violence. It aims to connect affected women with established community services and engage communities in challenging their perceptions of domestic violence. About Information Hamilton: As Hamilton’s Information & Referral (I&R) agency, Information Hamilton connects people to human services by helping them identify, find and access the services they need. 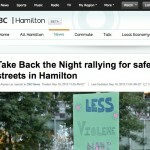 We gather, organize and share information about the community and government services in Hamilton. Visit The Red Book of Hamilton to access up-to-date information on services and Child Care Information Hamilton, a comprehensive database for parents and caregivers.